The all-time favorite! Includes folding game board, solid interlocking plastic checkers and rules. For 2 players,ages 6 to adult. The all-time favorite! 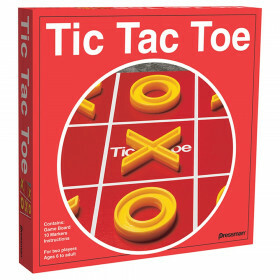 Includes folding game board, solid interlocking plastic checkers and rules. For 2 players,ages 6 to adult. THE OBJECT OF THE GAME: To capture all of the opponent's men, or block them so they cannot be moved. The checkers are moved diagonally and each player moves alternately one of his men, in order to �capture' an opponent's checker, he must be able to jump (with his own man) over his opponent's checker when there is a vacant square behind. Single men may move diagonally forward. When a checker has reached the last row of his opponent's side, it becomes �King' and then may move diagonally forward or backward. The �King' is �crowned' by placing another checker on top of it. See all of the Pressman Toys products we carry in our educational supplies manufacturer section. Looking for something similar? 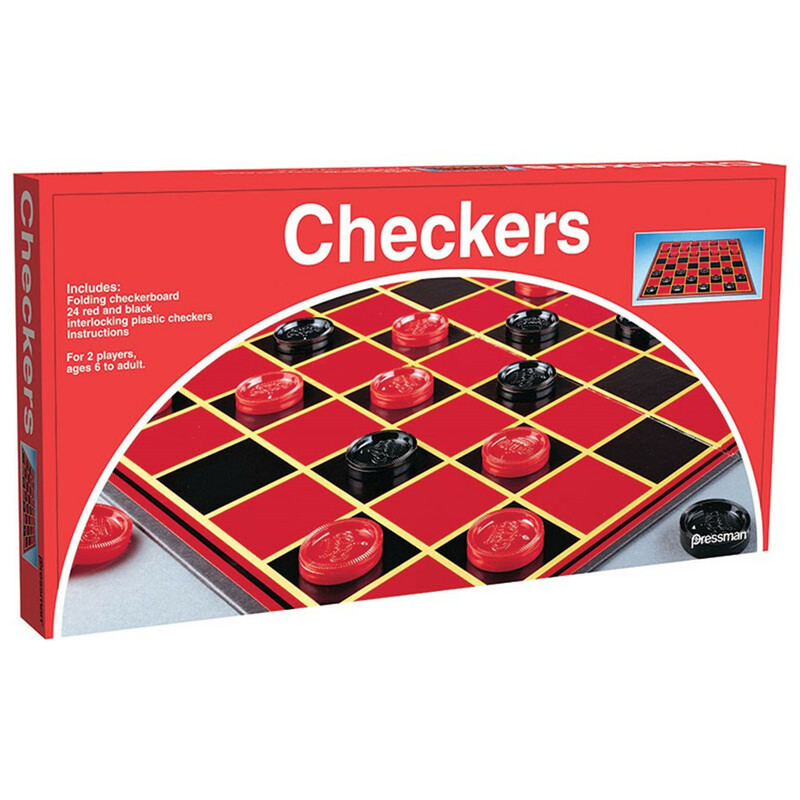 View our Classics or Games sections to find more teacher supplies items similar to Checkers. This item may also be listed in our educational supplies store catalog with item IDs PSG111212,WAD30340,PSGPRE111212.